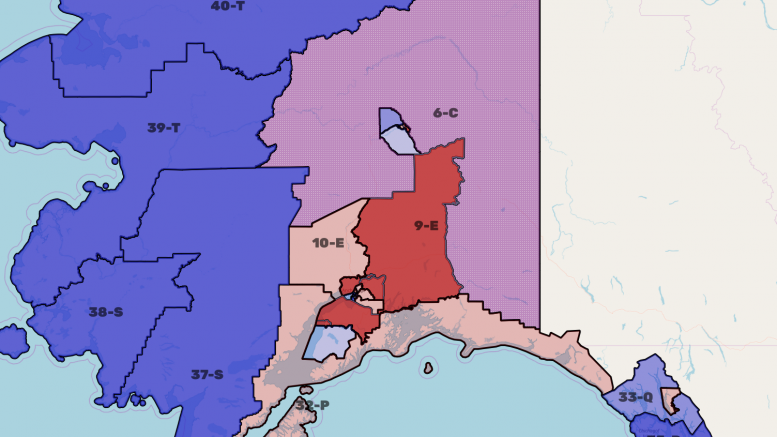 Today’s roundup will cap off the races for the Alaska House with an independent-heavy day going from Kenai to Southeast and back out to Western Alaska. Incumbent Rep. Paul Seaton was one of three Republicans who drew the wrath of the Alaska Republican Party for caucusing with the Democrat-led House Majority Coalition. For his work, Seaton won the powerful co-chair of the House Finance Committee where he, among other things, secured $499,500 for a Vitamin D study. After attempting to boot Seaton and the others from the party’s primary, Seaton’s decided he’s had enough of the party and he’s filed to run in the Alaska Democratic Party’s primary as a nonpartisan candidate. The wisdom of this has been questioned by plenty of politicos because the popular moderate would have been facing a crowded four-way race with Republicans John Cox, Hank Kroll and Sarah Vance. Seaton ran against Cox in a three-way primary in 2016, easily winning with nearly 50 percent of the vote. A lot of folks think he could have easily replicated the win this year. Seaton still has a shot at a multi-way race in the general election because Republican Greg Madden and nonpartisan Andy Cizek have both filed nominating petitions to run in the general election. They’ll each need 98 signatures to appear on the ballot. Hot take: It’s a Republican district by the numbers, but the edge is still in Seaton’s favor so therefore it’s a lean Democrat seat. Incumbent Rep. Louise Stutes is the third and final Republican in our roundup that got on the wrong side of Republican party leadership by joining the Democrat-led House Majority Coalition. She’s drawn a single primary opponent in Republican Rich Walker, who lost to Stutes in a 2014 Republican three-way primary by a wide margin. Stutes came close to losing in 2016 when she faced nonpartisan candidate Duncan Fields in the general election race that also featured a Democrat. This year is set up to be another three-way general election race against Democrat Dennis Harris and nonpartisan Sandra Katelnikoff-Lester, who’s filed a nominating petition. Hot take: Again, it’s a pretty Republican district by the numbers but it’s also one of the higher districts when it comes to independent (nonpartisan or undeclared) voters. We’ll give the edge here to Stutes. So lean Republican. The Democratic primary to fill the downtown Juneau House district seat vacated by incumbent Rep. Sam Kito is the most crowded of the Alaska Democratic Party’s primaries with four different candidates having filed for the seat. The candidates include: Steven Handy, Sara Hannan, James Hart and Tom Morphet. The seat is much larger than just downtown Juneau, and it includes Haines where both Morphet and Hart call home. The two were last-minute entrants into the primary that previously featured just Douglas residents, and come as welcome additions to the race. It’s hard to say who’ll be carrying the momentum into the primary. Whoever wins the race will go onto face nonpartisan Chris Dimond in the general election. Dimond decided to take the independent path to the general election via nominating petition. The race could turn out to be a critical one to the balance of power in the Legislature. Dimond’s made it known that he would prefer to caucus in a bipartisan coalition, but has said he would be open to caucusing with Republicans if it served his district better. Hot take: House District 33 is one of the few in the state where Democrats outnumber Republicans, so we’ll put it as safe Democrat. A Dimond win could move it to the Republican column, but that’s dependent on other factors. The 2016 election for House district 34 saw the moderate Republican district fall into the hands of Democrats thanks to the Republican incumbent’s letters on behalf of defendants in two child sexual abuse cases. Even then, there wasn’t a lot of confidence in the party that Justin Parish would be able to win, but he did. With a more competitive Republican challenger in Juneau Deputy Mayor Jerry Nankervis, Parish stepped aside opening the way for an open Democratic primary. The Democratic primary will feature a race between Democrat Andi Story, a member of the Juneau School Board, and nonpartisan candidate and former legislative aide Rob Edwardson. Hot take: It’s likely to be a competitive general election race, but thanks to the district’s numbers it’ll lean Republican. Incumbent Rep. Jonathan Kreiss-Tomkins is in the hunt for his fourth legislative term representing the Southeast district. Kreiss-Tomkins won the 2016 general election race against a Republican by nearly 20-points, so it’s likely his race to lose. From what we’ve heard, Kreiss-Tomkins has remained connected and engaged in the local community, which goes a long way. 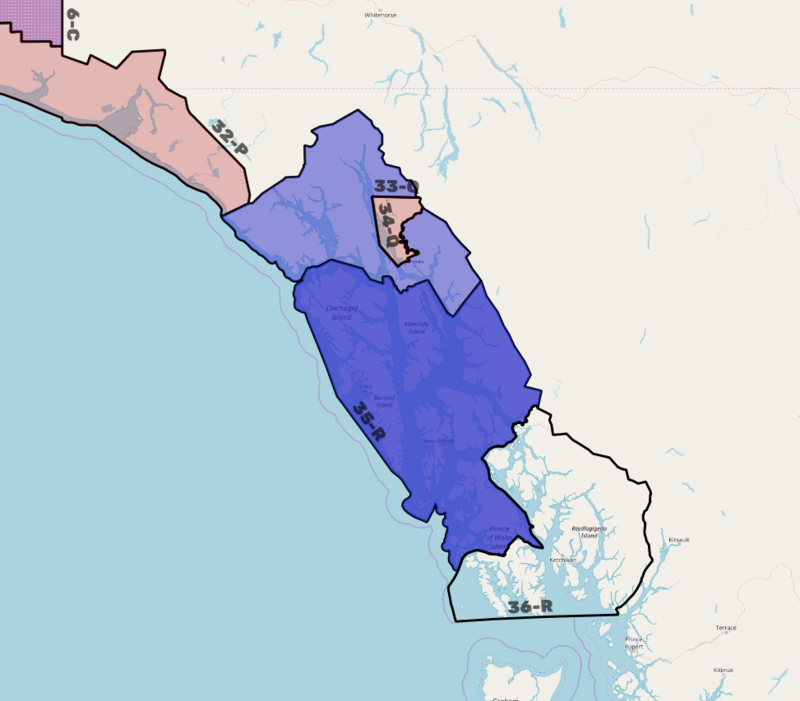 The Republicans will have a primary between Sitka Republican Richard Wein and Hoonah Republican Kenny Karl Skaflestad. Incumbent Rep. Dan Ortiz will have a three-way race with a Republican and Democrat in November. Ortiz notched 52 percent of the vote in 2016, when he faced a Republican and an Alaska Constitution Party candidate. This time around, the Ketchikan independent won’t have a lock on the left side of the ticket with Democrat Ghert Abbott in the race. He’ll also have Republican Trevor Shaw on his right. The race has the potential for a Republican with a Democrat playing spoiler. Still, Ortiz has had a pretty successful legislative year with a seat on the House Finance Committee as well as a significant resolution declaring Alaska Native languages in a state of a cultural emergency to his name. Out in House District 37, the Alaska Republican Party’s leading candidate William Weatherby once wrote about kicking a woman in the groin like a football and to “get in a shot for all the guys” if a man has to protect himself from a woman. He’ll be in a primary with Naknek Republican Stan Swetzof. 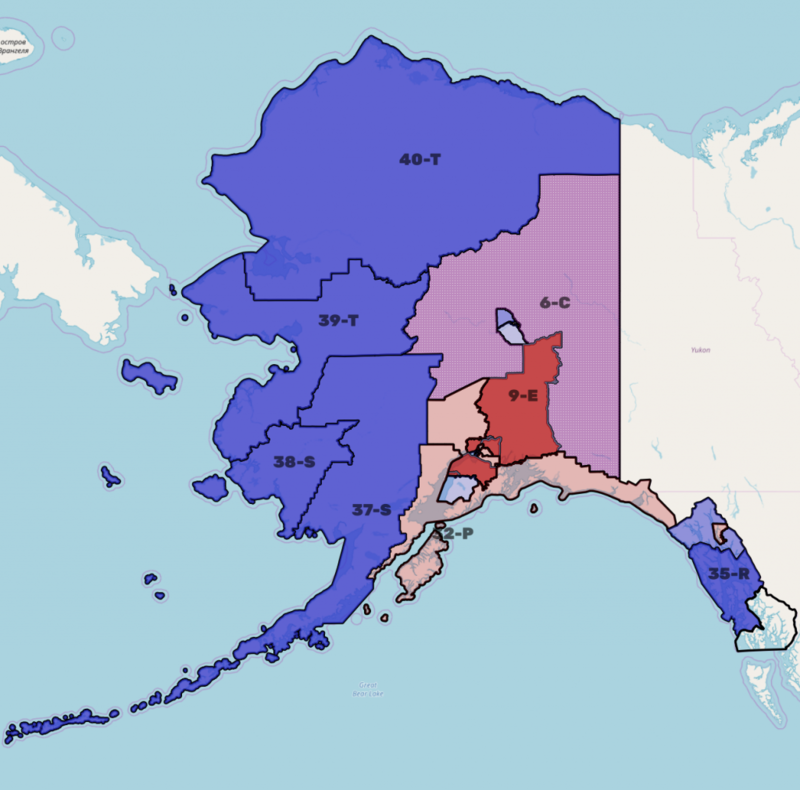 Of course, the race favors incumbent Rep. Bryce Edgmon, the state’s first Alaska Native politician to be House Speaker, with both high Democratic party affiliation and the fact that Edgmon beat Weatherby by nearly 20 points in 2016. Incumbent Rep. Tiffany Zulkosky ruffled feathers when she let go of the legislative aides who had been taking care of legislative business while the seat was sitting vacant following the resignation of Rep. Zach Fansler (who’s actually still filed for the primary), but she’s been generally impressive and brought a unique, and much-needed perspective to the Legislature. Regardless of whether Fansler gets it together to withdraw from the primary, Zulkosky is a lock. She’ll be going up against Kalskag Republican Darren Deacon in the general election, but the district is so heavily Democratic that it’s likely a formality. Rep. Neal Foster has no primary or general election challengers on the horizon. Incumbent Rep. John Lincoln, a Democrat, rounds out the list of House district seats in this week’s rundown. Lincoln was the first of three legislative appointments to be seated this year, replacing Dean Westlake. The first round of appointees were rejected by Gov. Bill Walker, the district and Walker agreed on the appointment of Lincoln, who impressed many. 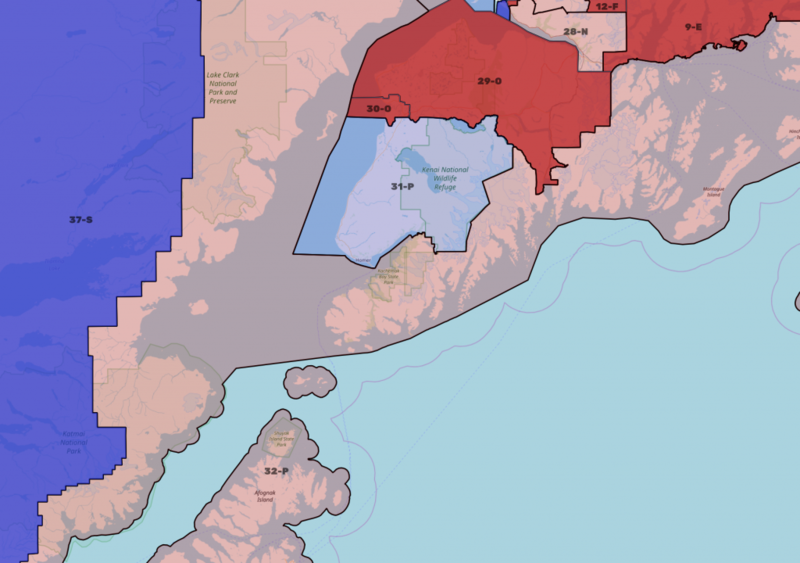 Two nonpartisan candidates have filed to run in the general election through nominating petition: Utqiagvik resident Leanna Mack, who was one of the initial district appointees for the seat, and Kotzebue resident Patrick Savok, who’s the Northwest Arctic Borough mayoral chief of staff and had apparently pushed hard to be one of the appointees but didn’t make the cut. Be the first to comment on "State of the Race: Legislative Races, Day 4 (House Districts 31-40)"